For my example I did crop my photos down a bit. They had wasted space in them and I wanted a really big snowflake to fit. :) My photos are 5x6" and 4x5" but the larger photos will fit just as well. 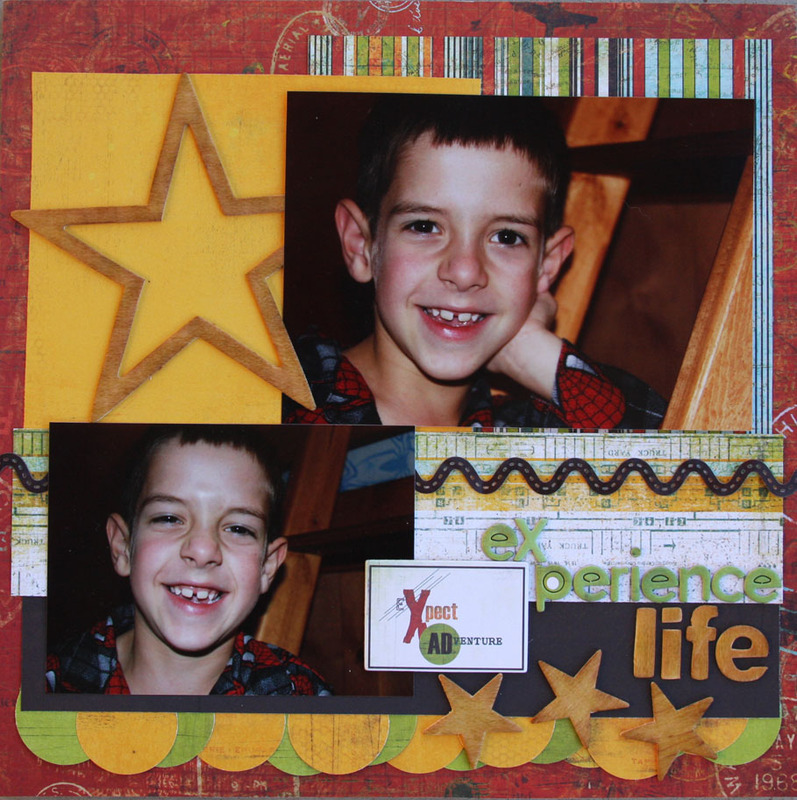 For close ups of my page visit my blog HERE. Joni Parker sent this totally fun example layout. Isn't the star just perfect! Visit Joni's blog HERE to see more of her work. Thanks Joni! This is Angela's example and I really love her stitching at the top and bottom, its a great touch. 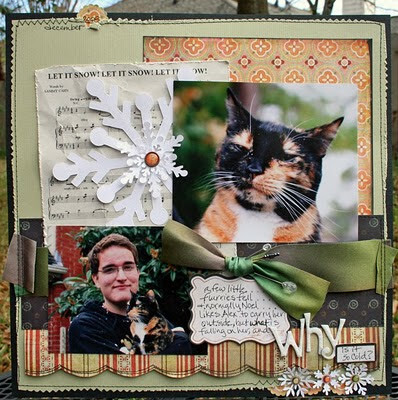 Visit Angela's blog to see more of her beautiful photography and layouts. Great sketch...printed and sitting on my sb table for inspiration!! LOVE your layout..all the little details are amazing..the stitching, the little die cuts at the top & bottom sticking out...the folds in the ends of the ribbon... Just Amazing!! FAb page! Love the snowflakes on your LO! loving this sketch ....so going to try this one!!! So love this sketch ...going to have to try this one!!! Fab sketch! I don't have a ton of bigger photos but it's always nice to see them being used in a way that is appealing. Oh I LOVE this PAGE omgosh!! oh oh and this sketch!! I will have to try this one! A great sketch and yout layout is very cute! Ok..I've had this done for about a week and finally got my stack of layouts photo'd today and realized this was in there...sorry... This one was lots of fun Susan!!! Thanks for the inspo!! !